What is a Liquor Tax Bond? Alcohol and liquor tax bonds guarantee payment of taxes or fees imposed by state or local law for the sale, manufacture or warehousing of liquor and other alcoholic beverages. The type of surety bond is a financial guarantee that protects the obligee, which in this case is the government entity that requires the bond, from falsified records of sale, or an inability to pay requisite taxes on previous sales. These bonds are also referred to as Alcohol Ordinance Tax Bonds, Beverage Tax Bond, Brewer’s Bond, Distilled Spirits License Bond, Liquor License Bond, Malt Beverage License Bond, and Wine Bond. How much does an Alcohol Bond cost? How do I get an Alcohol Bond? Can I get a Liquor Bond if I have bad credit? Will I have to post cash collateral? How can I make sure my Alcohol Bond is accepted? How can I lower the rate for my Alcohol Bond? Premium for alcohol tax bonds is paid for on an annual basis. Rates are offered as a percentage of the total bond amount. Bond rates tend to be slightly higher for liquor tax bonds than for other types of license bonds due to the fact that these are strict financial guarantees which tend to have higher loss ratios. Customers with strong personal credit typically pay between 1 to 3% of the bond amount. Applicants with bad credit usually see rates ranging from 4 to 15%. 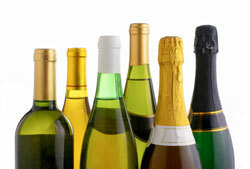 Lance Surety offers aggressive alcohol bond programs that typically do not exceed 7.5%. First, apply for one. Lance Surety has an easy to use online application that can help you get approved in just minutes, at an excellent rate. Once you’ve been approved, you’ll just need to pay your bond premium and provide a signed copy of the indemnity agreement for your surety bond to be issued. See our “How To Get Bonded” section to learn more about the bonding process. Yes. While many bond companies only offer approvals for customers with excellent credit, Lance Surety has a variety of exclusive bad credit programs that allows us to approve over 99% of applicants instantly through our online application. Your specific bond rate will depend on your individual credit score, and the type of bond you’re being required to post. We have created a number of specialty programs for Alcohol Bonds that do not require collateral. Our agents take every action possible to help you find the best possible rate without the need for posting additional cash as collateral. All of our sureties are A-Rated and Treasury Listed, so we provide a 100% guarantee that a bond from our surety will be acceptable to your specific obligee. However, it is your responsibility as the applicant or licensee to make sure that the information you provide on your bond application is accurate. For example, make sure your company name is listed the same way as it shows up on your license with the state. Also make sure the company address, FEIN or other specific information is accurate. If information on the bond does not match up with what the state has on file for your license, you may be required to furnish a Bond Rider, which is issued by the surety for any changes needed after the original bond has been processed. Alcohol Bonds are underwritten based almost solely on the personal credit of the business owner. As such, taking action to repair any blemished or delinquent items on your credit profile can go a long way towards lowering your bond rate. Additionally, some sureties will consider reviewing Professional Resumes, and Personal & Business Financials Statements. If strong enough, providing this additional information could potentially help save you money. To learn more cost saving tips, view our page on “Finding the Lowest Surety Bond Rates”.